Vicky Entwistle, Mollie Melia-Redgrave and Patrick Sullivan are joining the cast of Doctor Dolittle when it arrives in Glasgow next year as part of a UK Tour. Vicky will play Polynesia, Mollie will play Emma Fairfax and Patrick Matthew Mugg at the King’s Theatre from Tuesday 23 July - Saturday 3 August 2019. Further casting is to be announced. 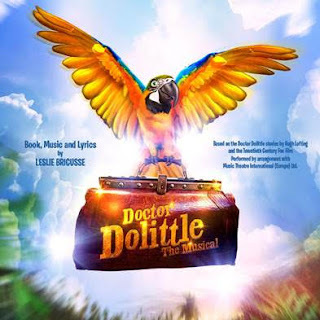 This new production of Doctor Dolittle, with book, music and lyrics by double Academy Award-winner Leslie Bricusse, will be part of the 50th anniversary celebrations of the original film starring Rex Harrison and will feature the same songs, including the Academy Award-winning Talk To The Animals. Featuring stunning visual puppetry, this new production, with the book reworked by Leslie Bricusse, will be directed by Christopher Renshaw. For tickets and information visit ATG Tickets.